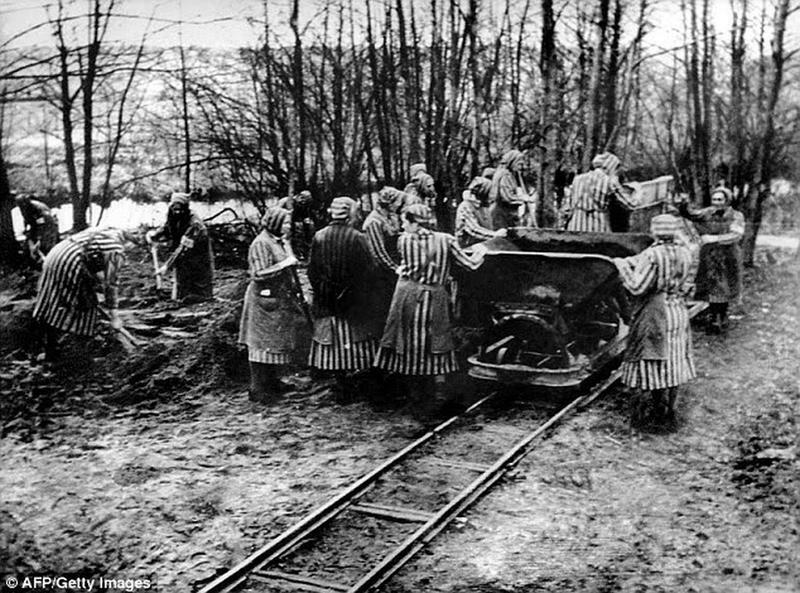 At the end of autumn 1938, Himmler decided to establish a concentration camp for women in Ravensbrück. This location was chosen by Himmler because it was out-of-the-way yet easy to reach. Ravensbrück was a small village with many forests and lakes, not far from Furstenberg. 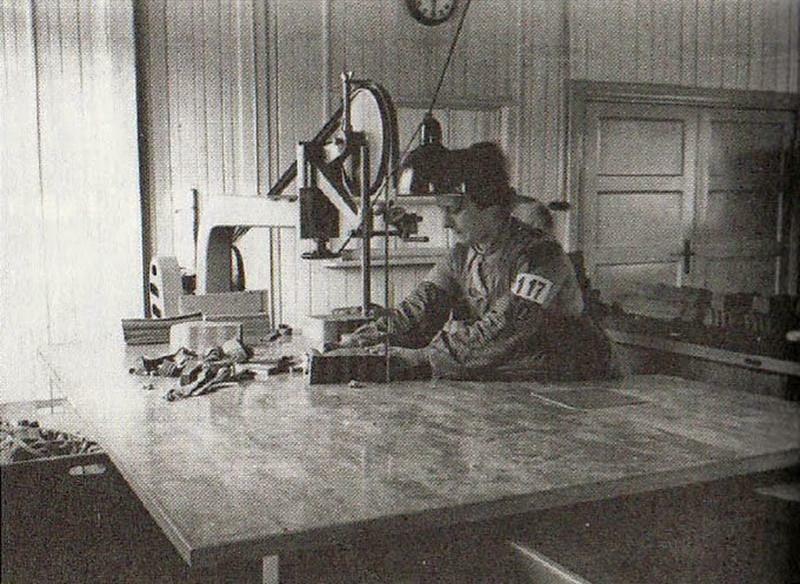 There was a good road from Furstenberg to Ravensbrück and the rail station of Furstenberg had a direct link to Berlin. 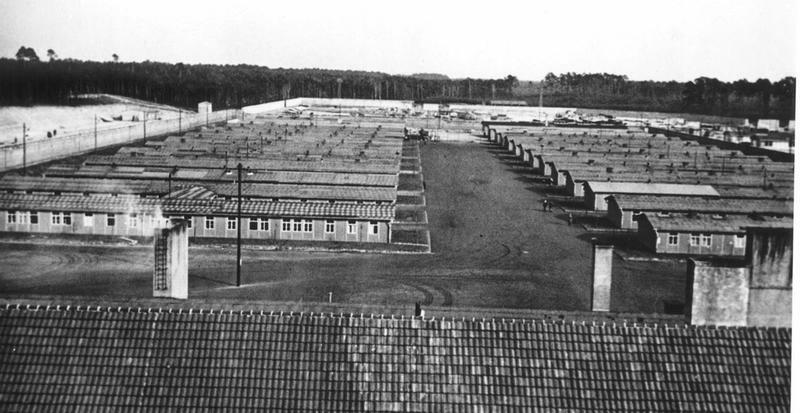 At the end of 1938, 500 prisoners were transferred from Sachsenhausen to Ravensbrück to build the new camp. They built 14 barracks, a kitchen, an infirmary, as well as a small camp for men, which was totally separate from the women's camp. 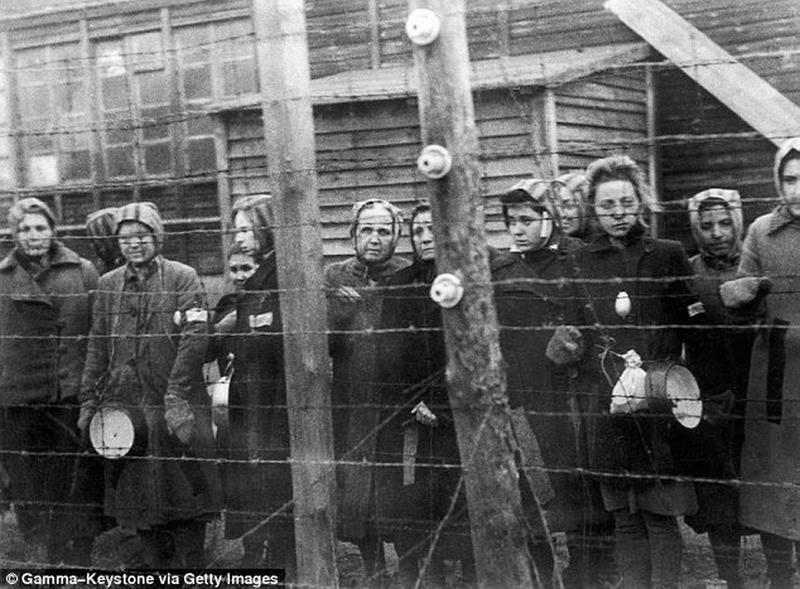 The whole camp was surrounded by a high wall with electrified barbed wires on the top. After the war began, they start brining in prisoners coming from 20 European countries. 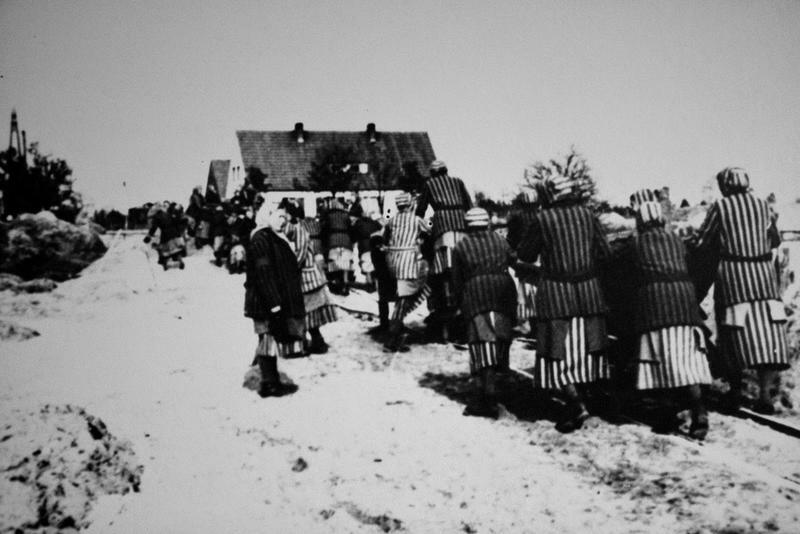 The conditions of life in Ravensbrück were as shameful and difficult as in all the other concentration camps - death by starvation, beating, torture, hanging, and shooting were common daily scenes. 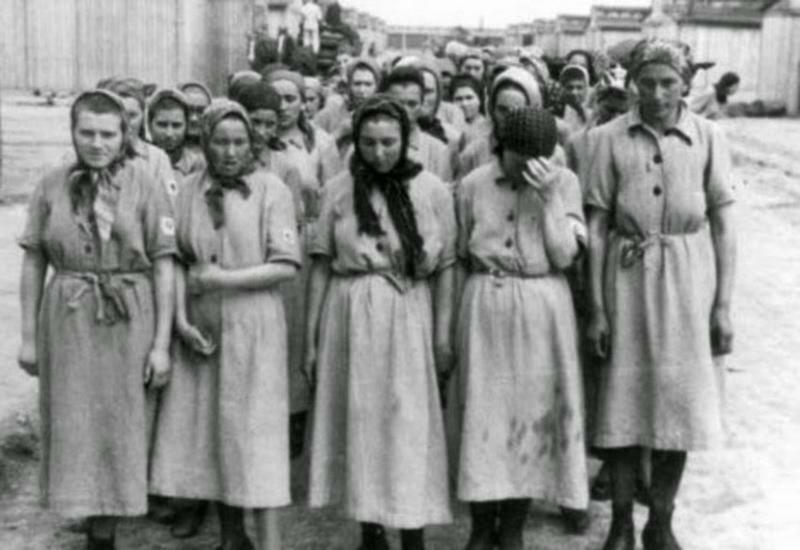 The women who were too weak to work were transferred to be gassed at the Uckermark "Youth Camp" just near Ravensbruck or to Auschwitz. 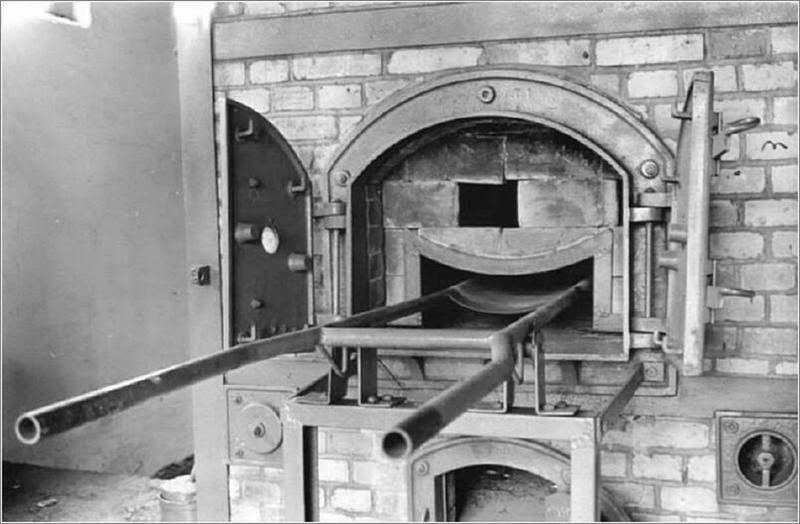 Others were killed by lethal injections or used for "medical" experiments by the SS doctors. 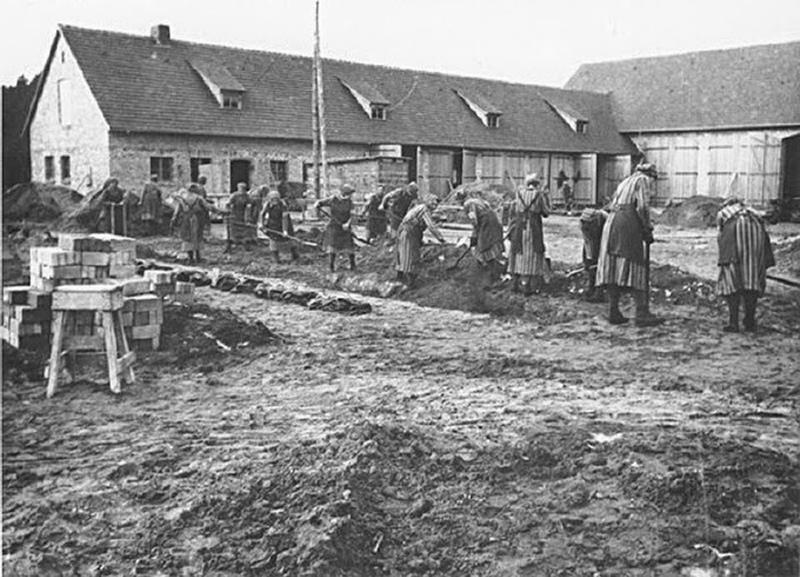 Several SS companies surrounded the camp where the prisoners had to work day and night until they died by weakness and illness. 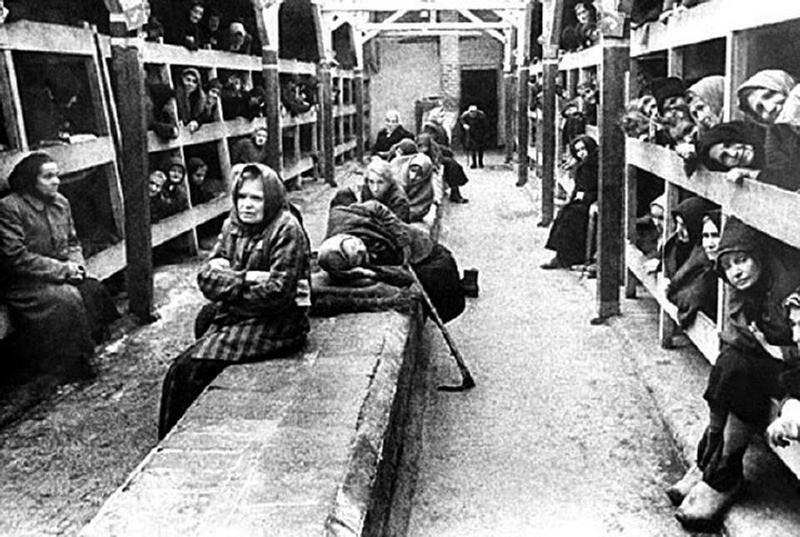 The camp was liberated by the Russian Army on April 30th, 1945. 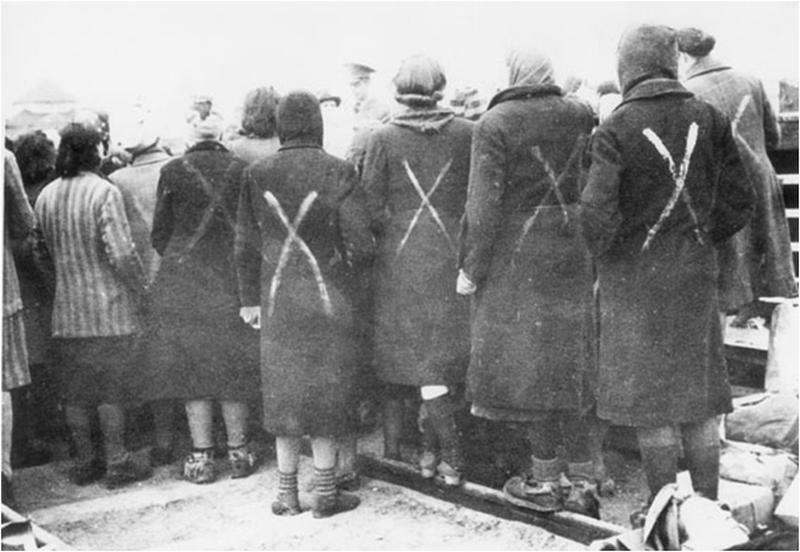 The survivors of the Death March were liberated in the following hours by a Russian scout unit. 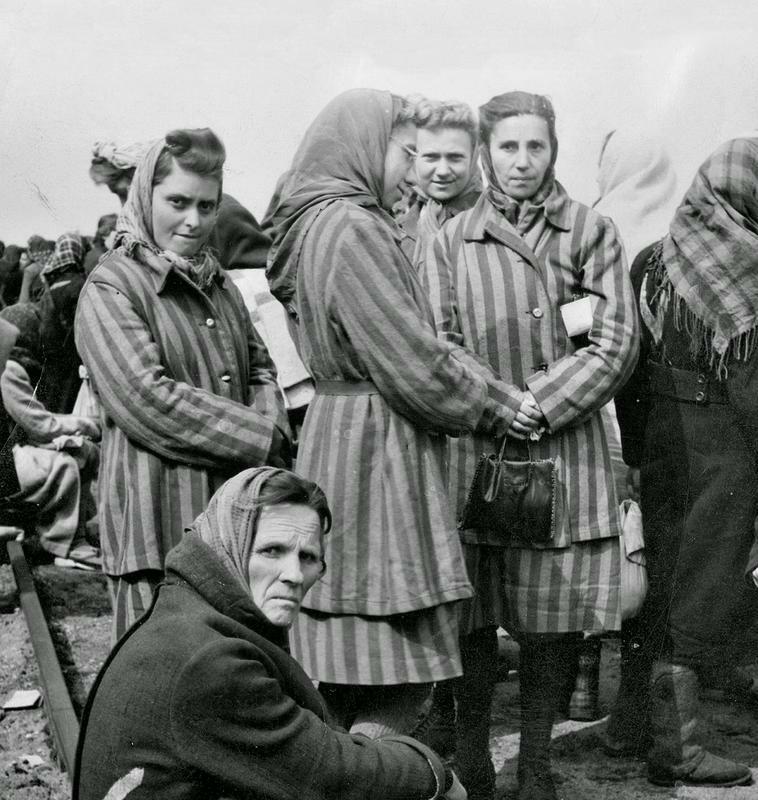 Surviving female prisoners gathered when the Red Cross arrive at Ravensbrück in April 1945. The white paint camp crosses show they are prisoners, not civilians. Female inmates working in a workshop under SS supervision. Holocaust Research Project. 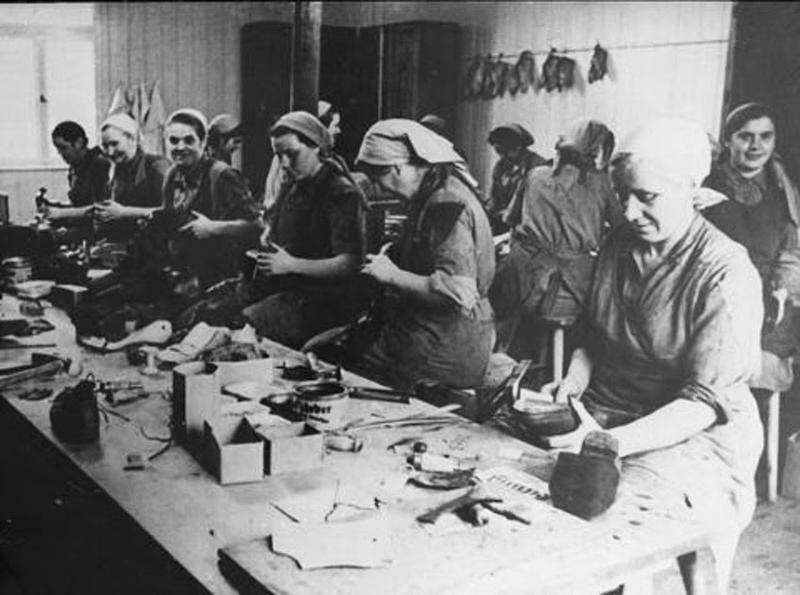 Women prisoners at work in the shoe repair workshop of Ravensbrück. 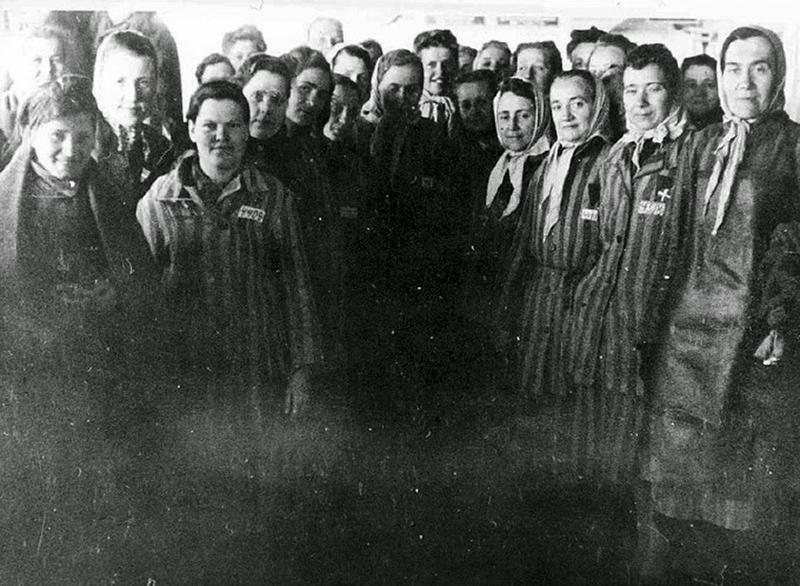 Female Jewish prisoners who have recently been released from Ravensbrück, cross the Danish border at the Padborg station on their way to Sweden. 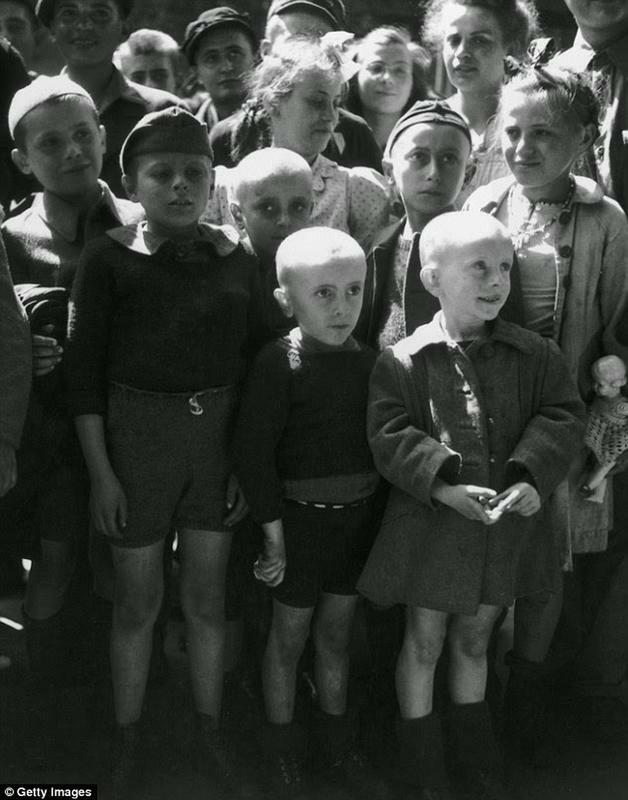 Shaven-headed children returned from the Ravensbruck concentration camp seen after its liberation by the Russians in 1945. 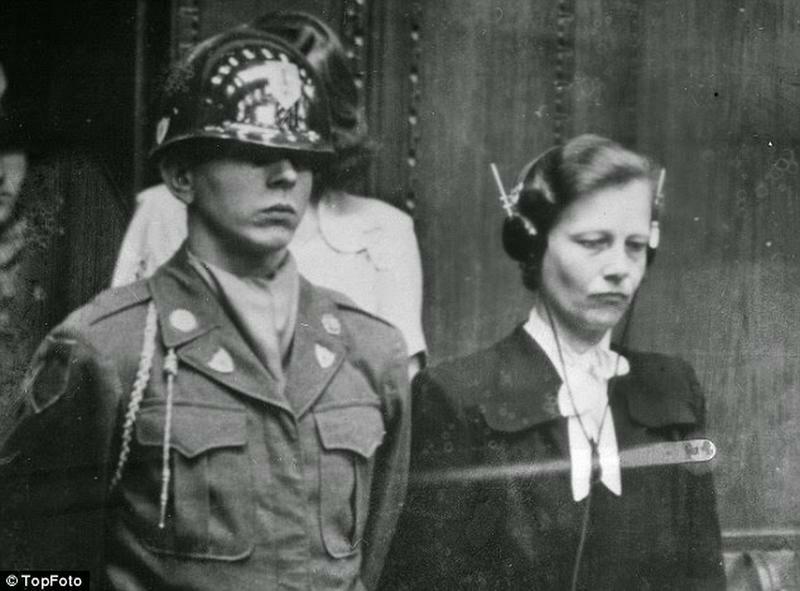 Dr Herta Oberheuser, a physician who worked at Ravenbruck concentration camp, is flanked by a US guard while on trial for war crimes including injecting prisoners with petrol and deliberately inflicting wounds for experiments. 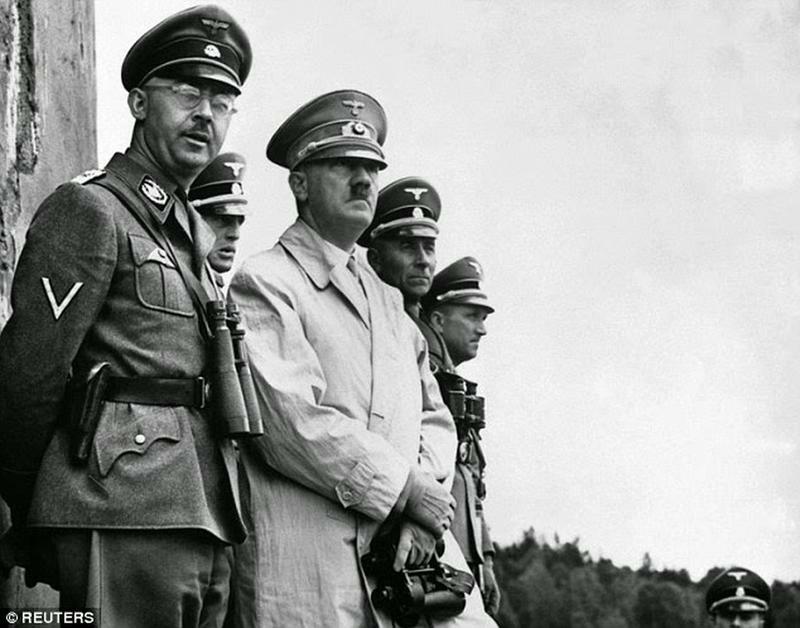 Gestapo head Heinrich Himmler (left) oversaw the running of the concentration camp system during the Holocaust and made frequent stops at Ravensbruck. He is pictured with Hitler at a military parade above. 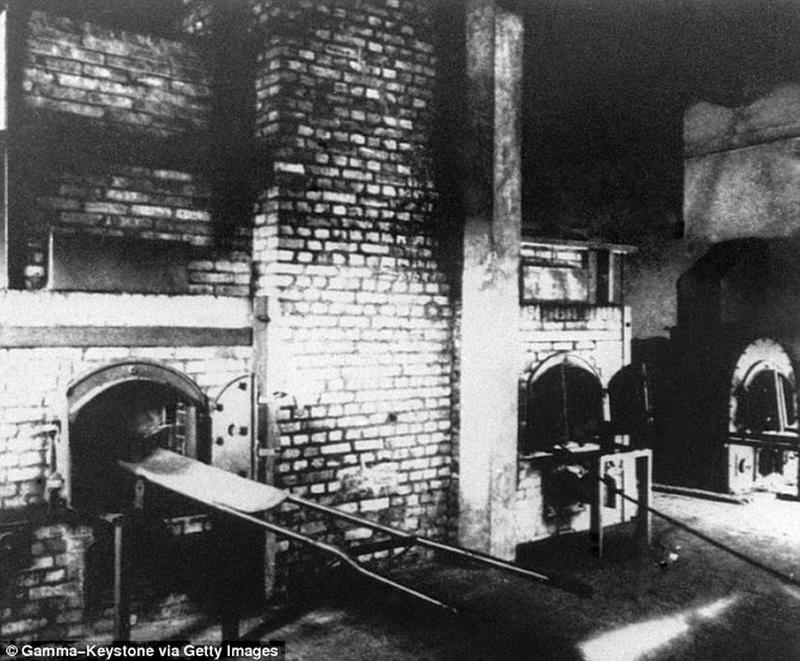 A temporary gas chamber was made close to the crematorium (pictured) at Ravenbruck concentration camp in order to kill double the number of people. 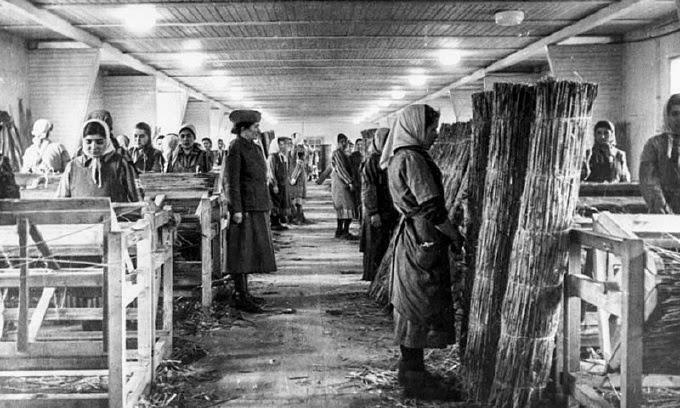 Female prisoners at forced labor in the Ravensbruck concentration camp. 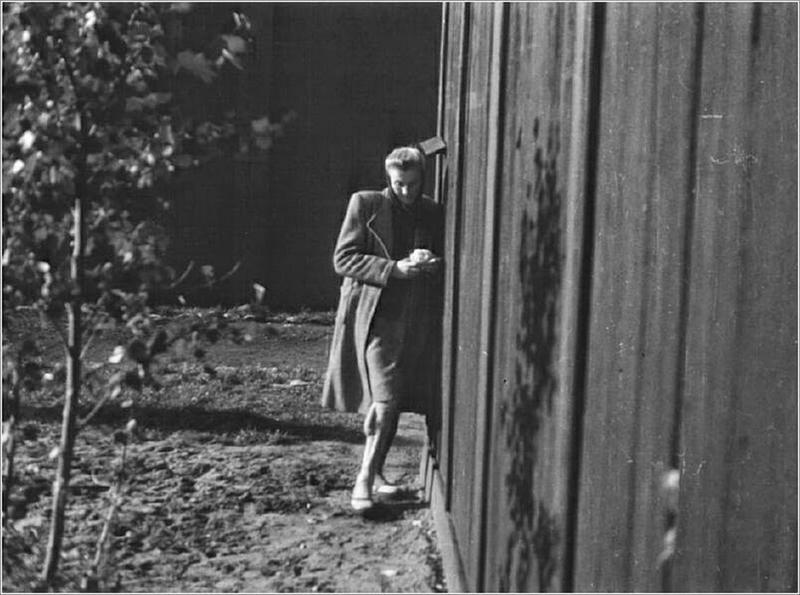 Clandestine photograph of a Polish political prisoner and medical experimentation victim in the Ravensbrück concentration camp. 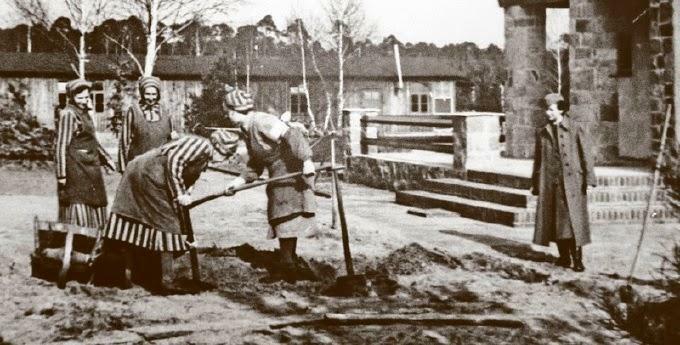 Female prisoners at forced labor digging trenches at the Ravensbrück concentration camp. 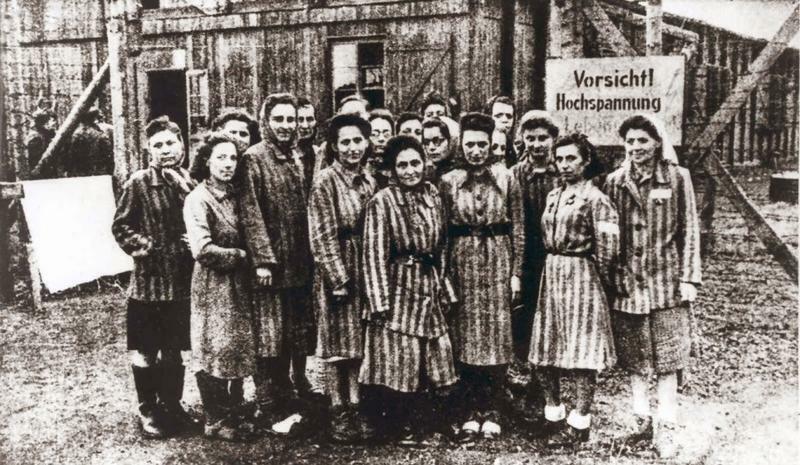 This photograph is from the SS-Propaganda-Album des Frauen-KZ-Ravensbrueck 1940-1941. 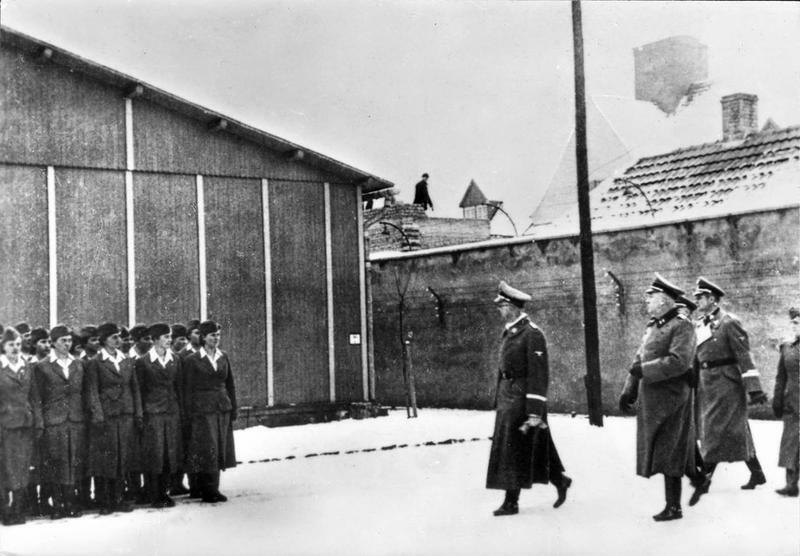 Reichsfuehrer-SS Heinrich Himmler inspects Ravensbrück. 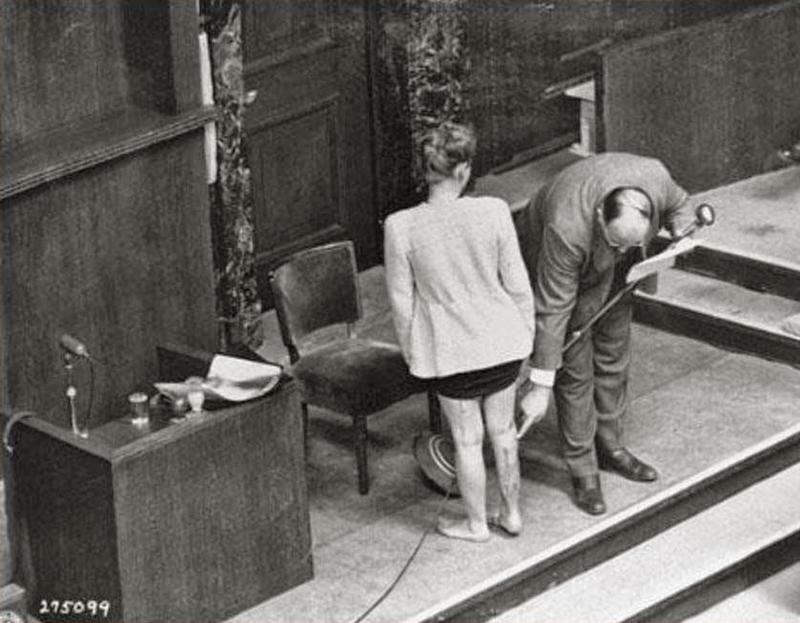 Alexander points at scars on the leg of Polish survivor Jadwiga Dzido, who endured sulfanilamide experiments at Ravensbruck concentration camp. 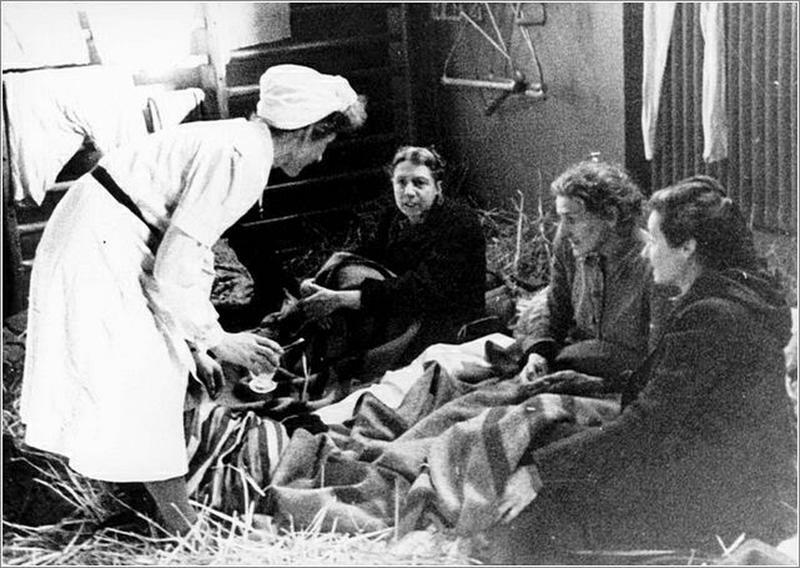 Some of the 300 women brought from the Ravensbruck camp by the Red Cross.